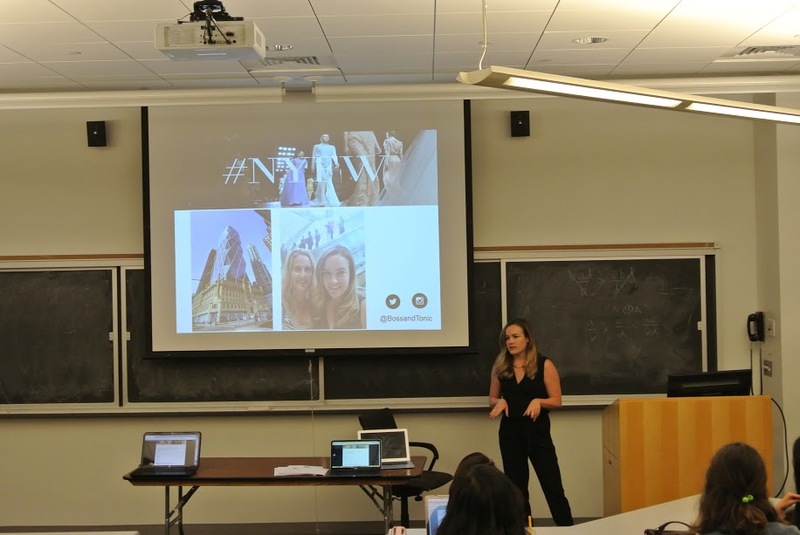 Molly Flynn, a Simmons College graduate and Boston blogger, came to speak to the Fashion & Retail Society on Wednesday, Sept. 24th about her knowledge on networking, utilizing connections through alumni and making it in the fashion industry. Before even graduating, Molly gained experience through internships at leading brands and companies such as the Boston Ballet, Esquire Magazine, Cosmopolitan Magazine and Warner Brothers. 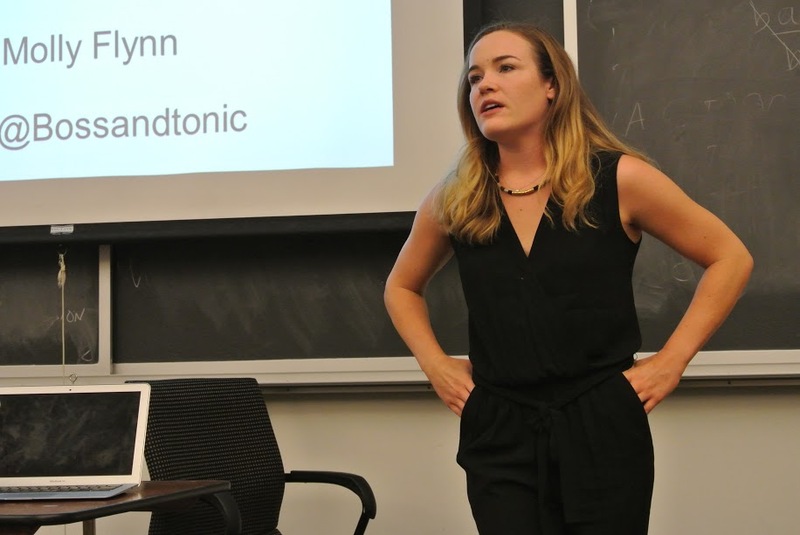 Through Simmons College, Molly utilized the alumnae connections department to see where she could work during her breaks and potentially after graduation. One alumna, an employee at Hearst Corporation, happened to be the ticket to Molly’s future. After meeting and automatically clicking with her, Molly found herself being offered numerous opportunities, including a ticket to Jason Wu’s fashion show. Since then, she has stayed quite active in the fashion industry. Earlier this year, Molly started her blog, Boss & Tonic, where she writes about fashion events in Boston and New York City, interviews leaders in the fashion industry and documents her daily thoughts. 1) Don’t start a blog unless you absolutely have the time for it. 2) Be persistent, patient and do not compare yourself to other people. 3) Within three seconds of walking into a room, spot who you want to talk to and go for it. 4) Strive to be uncomfortable. Networking is not easy but getting out of your comfort zone will bring you more opportunities than standing on the side. 5) Follow up with the people you meet or else they will be a lost connection. Currently, Molly is working in marketing at a fashion e-commerce site in Boston and is still very active in fashion blogging. To see her site, visit http://www.bossandtonic.com.